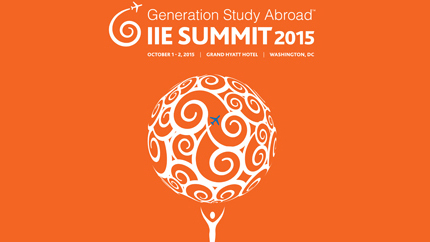 From October 1-2, 2015, the U.S. Department of State will participate in the inaugural Generation Study Abroad Summit, hosted by the Institute of International Education (IIE). State Department Officials will discuss the importance of study abroad, including the new U.S. Study Abroad Office, and how international education develops the skills, or competencies, among individuals that are necessary to succeed in the 21st century global community. Exchange program alumni from both the Gilman and the Fulbright Programs will also be in attendance. 8:45AM: How Can Study Abroad Be Redefined and Rebranded for Today’s Global Economy? For more information, visit IIE’s Summit website: http://www.iie.org/en/Programs/GSA-Summit. For inquiries, please contact ECA-Press@state.gov.